P.N. 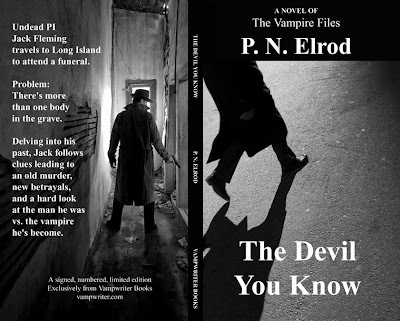 Elrod has announced the publication of a Special Edition in her Jack Fleming vampire detective series. It is called The Devil You Know and is a sequel to Blood Circle (Book #3). You can read an excerpt here (scroll way down) or order it here (currently available to U.S. customers only). P.N. Elrod is also holding a contest to win 3 Amazon $25 gift certificates on her blog here. Tez Says has the cover for Dawnbreaker the third Dark Days book by Jocelynn Drake. Carrie Vaughn has a short story from her Kitty series posted at Subterranean Online called Conquistador de la Noche. It’s Rick’s origin story (head vampire of Denver). 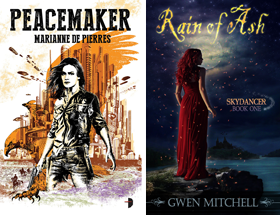 As always Literary Escapism has lots of urban fantasy news updates about interviews, contests and more from the past week. You still have until Sunday night to enter the giveaway for a signed copy of John Marco's fantasy novel Starfinder. Read the interview and get the details here. You can also win a copy of Santa Olivia by Jacqueline Carey. Read the post here. Contest runs until May 28. Tez I am happy to link anytime!